The skin of each of us needs protection. Good quality cosmetics will help us to achieve this. Elizabeth Arden Eight Hour Cream Skin Protectant is one of such products. Check if it will work for you as well. Elizabeth Arden cream has received many prestigious awards. What are the properties of Eight Hour Cream Skin Protectant? The cosmetic soothes sunburns and the skin after too long sunbathing. It also protecs from harmful effects of frosty air as well as dry air coming from air-conditioning and radiators. It deeply moisturizes, reduces discolouration, eliminates dry cuticles and restores irritated skin. What’s more, it nourishes and conditions the skin, providing it with proper level of hydration and collagen. Elizabeth Arden Eight Hour Cream Skin Protectant is very often used as a highlighter or make-up base by make-up artists. The product is also useful in care for the skin under the eyes. It lightens shadows under the eyes, reduces swelling and smoothens fine lines. Did you know that Elizabeth Arden Eight Hour Cream Skin Protectant soothes irritations caused by hair removal as well as softens and moisturizes the skin? Elizabeth Arden Eight Hour Cream Skin Protectant contains i.e. vitamine E, corn oil and castor oil. These ingredients provide protection from free radicals, hinder skin aging processes, make wrinkles less visible and improve condition of the skin. Also lanoline, mineral oil and petroleum jelly are included in Elizabeth Arden Eight Hour Cream Skin Protectant. Theses substances provide moisturizing: they create a protective layer on the skin. Those allergic to one of the above mentioned ingredients shouldn’t use Elizabeth Arden product. Why? The cosmetic can cause irritations, pimples and acne. 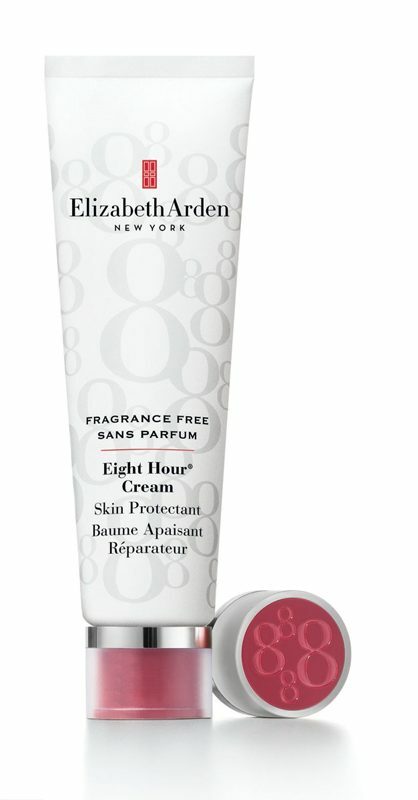 How to use Elizabeth Arden Eight Hour Cream Skin Protectant? Use it as often as you like and enjoy beautiful face.